If you take Rajinikanth films, you’ve probably heard the ‘Guru Sishyan’ numbers, or the ones from ‘Veera’. But ‘Sodi kili enge’? Read on. 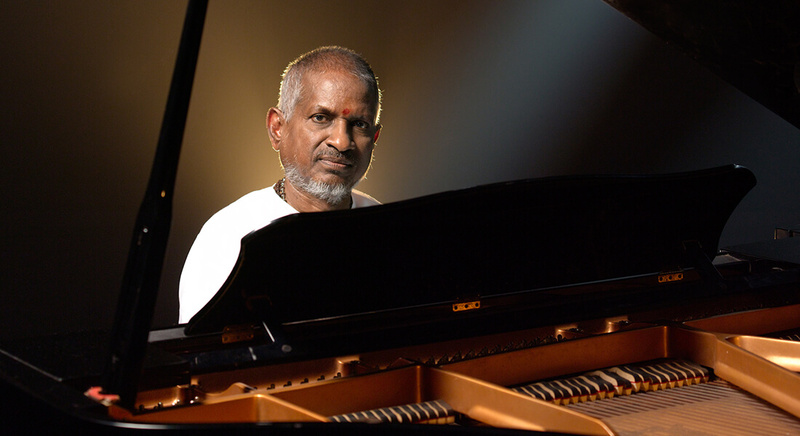 I wanted to write something to commemorate the Ilayaraja 75 concert, but I kept getting stuck. Given that an orchestra from Hungary will be playing, should I make a list of my favourite non-vocal parts (i.e., the preludes and interludes) from his songs? Should I make it even more personal, recalling how I used to record his songs on cassettes in five-year groups (because the ‘76-‘81 songs sound different from the ‘81-‘86 songs, and so on)? I thought about listing some of the popular songs that don’t work for me (like ‘Vandhaal Vandhaal Rajakumari’) and yet I admire at various levels, but that was negative-sounding and hardly celebratory. And then, the recent Sid Sriram interview gave me the idea. He’s an entire generation removed from me, and when I asked him to talk about Ilaiyaraaja’s music, he picked ‘Kanne Kalaimaane‘ and ‘Thenpaandi Cheemayile‘. It’s fantastic music, of course – but it felt a little like remembering Beethoven only through the ‘Fifth Symphony‘ or The Police only through ‘Every Breath You Take‘. It’s a bit of a paradox. The reason these songs/compositions spring instantly to mind is because they are so legendary, so defining, so popular – and yet, they “restrict” the perception of an artist (or a band), when the work contains so much more than just these Greatest Hits. Take Kann Sivanthaal Mann Sivakkum. Everyone knows the fire-spewing anthem, ‘Manidha Manidha‘ – but what about the gentler ‘Vandhaale Alli Poo?’ (See clip below.) I don’t know if this is true for some of you, but the songs that are too familiar, the ones that you’ve heard some 5000 times, they are lodged in your mind in their entirety. ‘Manidha Manidha’ was such a hit during my schooldays, it was played so often that I sometimes feel I don’t need to actually listen to it anymore. I know its every bend, every nook and corner. And sometimes, you need to stay off a song – so that the listening gap makes it sound even better when you return to it. But the (relative) lack of exposure of something like ‘Vandhaale Alli Poo’, still allows for little surprises and discoveries. Clearly, old-timers and long-time Ilaiyaraaja listeners will know many of these songs, but I am thinking about the Sid Sriram generation. If you’re game, dive in and discover a rarer kind of magic. Sivaji Ganesan: The biggest legacy actor that Ilaiyaraaja worked with. (Technically, yes, Kamal Haasan, who started his career in 1960, would be a legacy actor, too. But let’s not count the child-actor years.) I have a soft spot for ‘Thenmalli Poove‘ (Thyagam), as the prelude is one of the earliest “textbook” preludes by Ilaiyaraaja, the kind that lays out the contours of the song. But if you can’t handle TM Soundararajan, try ‘Oru Koottu Kiliyaga‘., from Padikkadhavan. Malaysia Vasudevan’s voice sits surprisingly well on the legend, and the stanzas of this waltz, with bird-like (that’s the opening line, remember?) flute trills between lines, are especially lovely. Another fun Malaysia Vasudevan-Sivaji Ganesan number where the music sweetens the moral science lesson in the lyrics? ‘Yeriyil Oru Odam‘ (Jallikattu). Kamal Haasan: Oh, this is a toughie. I think a lot of the younger generation would have seen quite a few of his important films, and therefore heard a lot of the songs. So it’s probably best to search the “crap films” list (and it’s quite a long one, mind you). I’m going to pick the awesome ‘Aayirathil Nee Oruthan‘ (Naanum Oru Thozhilaali). It’s not a “Kamal song” per se. Ambika sings it. (He just listens and basks in the ego-massaging lyrics.) But the song is a superb example of how even the most generic situations could inspire a specific kind of genius in Illaiyaraaja. I mean, the call-response between S Janaki’s humming (at the start) and those strident drums, which are such a contrast to the singer’s softness. That first interlude. The surprising colour in the last line of the charanam. And, in general, the “asymmetric” nature of the composition (a three-line pallavi, a charanam with lines of jagged length)! All, in one foot-tapping, four-minute package. Sivakumar: Probably Ilaiyaraaja’s most memorable hero, the leading man of the maestro’s very first film. Along with Mohan, he was the second-rung star who got some of the best Ilaiyaraaja songs. Try ‘Parijaatham‘ (Nilavu Suduvadhillai), the bouncy ‘Poonthendrale‘ (Bhuvana Oru Kelvikkuri), or if in a more rustic mood, the utterly joyous ‘Adadada Maamarakiliye‘ (Chittukuruvi). Incidentally, it’s songs like this latter one that taught a certain city boy some major fundas like parisam pottu-fying and manjal arachu-fying. But I’ll write about all that another time. Vijayakumar: ‘Poovizhi Vaasalil‘ from Dheepam. Enough said. With KJ Yesudas and S Janaki apparently on a trampoline – so infectious is their energy. But if that’s too 70s for you, too old-fashioned for you (and seeing Vijayakumar and Sujatha dance is something children and pregnant women should undertake with caution), try the gorgeous ‘Azhage Unnai‘ (Azhage Unnai Aarathikkiren), which has a most unusual structure. A prelude. A pallavi. An interlude. And a repeat of the same pallavi. Beautiful. As a trivia note, this song reminds me of ‘You Are Like A Fountain‘, from MSV’s Ninaithaale Inikkum, which is also a minimalistic, unusually structured love song tinged with melancholy. And both films came out in 1979. Rajinikanth: Another toughie. So many famous films, so many hit songs. How do you track down something obscure? Perhaps by delving into the earlier soundtracks. Paayum Puli is an absolute favourite. You’ve probably heard ‘Pothikittu Oothuthadi‘, but how about the simpler pleasures of ‘Aapakadai Annakili‘? Or better yet, ‘Varuvaai Anbe‘ (Garjanai), where the Carnatic gamakam (the pull on a syllable to make it “vibrate”) is used to sensational effect in a pop song filled with synth explosions. Or if you want a proper “Rajini song”, shot only on him and his co-star, do listen to ‘Sodi Kili Enge‘ (Padikkadhavan). The “hero entry” portion of this number, a short burst of violin-trumpet fireworks, is fantastic. And (with “Athai maga rathiname…”) the change in the song’s mood from “urban” to “thara local” is so pulse-quickening, I’m goosefleshing as I write this. Vijayakanth: Is ‘Radha Azhaikkiraal‘ (Therkathi Kallan) too known? If you haven’t heard this beauty, though, now’s the time. The Amman Koil Kizhakkaley and Vaidehi Kaathirundhaal songs are too famous, so let’s not go there. How about Padutha uranguthillai (Eetti), a fine addition to the “tribal songs” genre? Or the ultra-gorgeous Pagalile oru nilavinai kanden (Ninaive Oru Sangeetham)? (On the film’s release, it was overshadowed by Yethamaiya yetham and Eduthu vacha paalum. And incidentally, paai virichi-fying is another funda I learnt from Tamil films songs.) Or maybe even Kungumam manjalukku (Enga Mudhalaali). I don’t see it being talked about all that much these days. It’s a very… comforting song. Karthik: So let’s steer clear of Alaigal Oyvadhillai, Ninaivellam Nithya (unless you’re considering the brilliant ‘Kanni Ponnu‘, sadly a bit lost amidst the soundtrack’s other jewels), Kizhakku Vaasal, Agni Natchatiram, the usual suspects. What do we have left? ‘Ponvaana Poongavil’ (Vaalibame Vaa Vaa), with its insistent drumming and amazing tune loops. ‘Oru Pokkiri Raathiri‘ (Idhu Namma Bhoomi). And this may not be the rarest of songs, but it deserves to be heard more. I’m talking about ‘Pothi Vachukko’ (En Jeevan Paadudhu; it’s been a bit of a mystery to me that ‘Ore Murai Un Dharisanam’ from this film became the bigger hit). Another great overshadowed song is ‘Vaanam Idi Idikka’ (Unnai Nenachen Paatu Padichen), though the overshadowing song, in that case, is a real beauty: Ennai thottu. Pandiyan: Not exactly a major hero, but a one-time Bharathiraja fixture and therefore the beneficiary of some of Ilaiyaraaja’s greatest treasures. You’ll probably remember ‘Pothi Vacha‘ (Mann Vaasanai), but let me point you to the lesser-heard (and equally gorgeous) ‘Aanandha Then Sindhum’, with equally to-die-for interludes. Also, ‘Maanada Kodi Poovadum‘ (Mudhal Vasantham). I just love the way the stanza drops to Kai valai thaalangal… It’s the gentlest of segues. What about Suman? You get ‘Dhaagam Edukkira Neram‘ (Enakkaga Kaathiru), Nee illadha podhu (Ilamai Kolam; oh, the prelude). There’s Nizhalgal Ravi and Oru kunguma chengamalam (Aaradhanai). There’s Prathap Pothen and ‘Adhikaalai Nerame’ (Meendum Oru Kaadhal Kadhai). There’s Sathyaraj and ‘Uyire Uyirin Oliye’ (En Bommukutti Ammavukku). Sudhakar and ‘Vaadai Vaattudhu’ (Sakkalathi). Suresh and ‘Unnai Kaanum Neram’ (Unnai Naan Santhithen). By the time we get to Ramarajan, I guess the chances of not having heard a song decrease considerably. I could go on to the next generation, too (say, Prashanth and at least one song from Vanna Vanna Pookkal), but as I said, this is just an article. The book will have to wait.